Pop star Justin Timberlake is putting his health first. On Wednesday evening, Dec. 5, 2018, the "Man of the Woods" singer took to Instagram to announce that he's decided to postpone his remaining 2018 tour dates. "Hey guys, I'm sure you have heard that I've had to postpone several tour dates due to bruised vocal cords," Timberlake wrote to his 53.1 million followers in a lengthy text-post. "My vocal cords are healing, but they are not all the way back to normal yet, so my doctors want me to continue to rest my voice. They have asked me to hold off on singing until next month." The "Cry Me a River" hitmaker continued, "I'm really sorry, I want to be back on stage and I am doing all I can to get there quickly. Thank you for understanding — I see all of your posts and I appreciate the support and the love." Timberlake, who shares 3-year-old son Silas with wife and Sinner star Jessica Biel, concluded his post with, "I look forward to coming back stronger than I was before. More to come on the rescheduled dates." 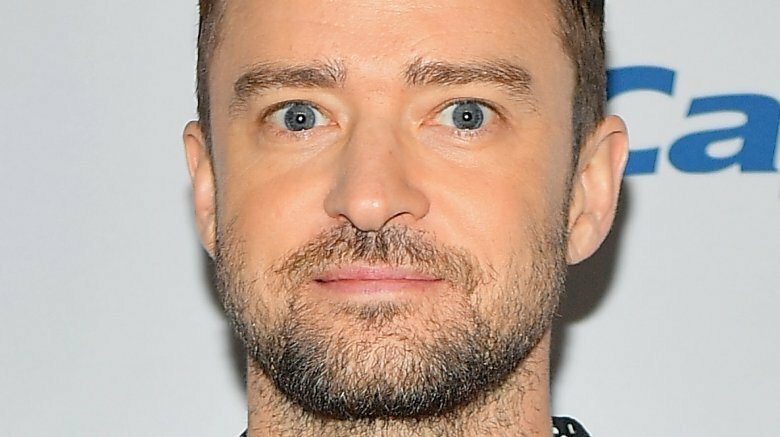 As the former boy band singer alluded in his recent message, Timberlake has sadly been battling vocal problems for months now. As Nicki Swift previously reported, the 37-year-old singer-songwriter, who's gearing up to headline the Coachella Valley Music and Arts Festival in April 2019 after taking on the Super Bowl halftime show earlier this year, was forced to push back multiple concerts earlier this fall, including a show at Madison Square Garden in New York City. The tours of Timberlake's fellow '90s pop stars, Pink and Christina Aguilera, have also unfortunately been affected by illnesses this year. However, it sounds like actor Jonah Hill might just have the "Like I Love You" hitmaker's back. As the 21 Jump Street star jokingly wrote in the comments section of Timberlake's recent post, "I have decided to fill in got JT on his remaining dates. It's what we do in our incredibly small circle of people with extraordinary voices. Feel better. I got you until you do" (via E! News). Playing along, Timberlake quipped, "@jonahhill well guys…I was gonna wait for my next post to unleash this wonderful news. BUT…you heard it here first. Jonah crushes 'Mirrors' too so you guys are gonna LOVE IT. Thanks man!" We're wishing Timberlake a speedy recovery!